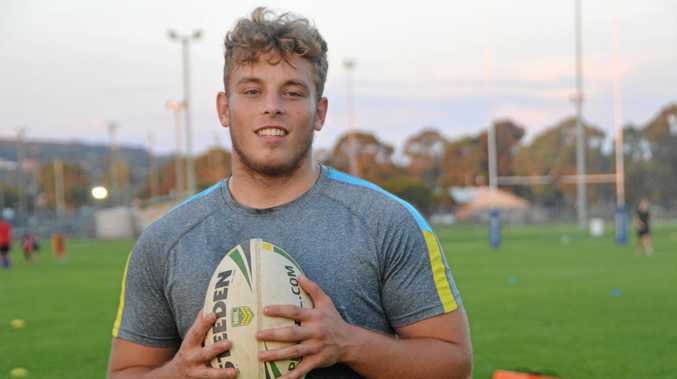 THE region's aspiring rugby league stars will be making their mark on the Toowoomba Rugby League competition this season as part of the South Burnett Eagles Under-18 team. Each week the South Burnett Times will talk to one of the players so you can get to know what they love about the game and what keeps them playing each week. This week we meet 16-year-old Tyson Ellul who played his junior rugby league with the Nanango Stags. Front row and second row. What is your favourite thing about rugby league? I like playing with my teammates and friends, and winning games. Who has had the biggest influence on you as a rugby league player? My family because they have always been supportive. What advice would you give to a young kid starting the sport? Dream big, play hard and make sure every game goes well. What is your favourite rugby league memory? Winning the grand final in 2017 with the under-16 Nanango Stags. What NRL club do you support? Who is your favourite NRL player? Latrell Mitchell because he plays in the centres and is strong.